Don’t you just love the taste of smoked fish or meat? I know I do and you can smoke fish and meat yourself at home if you have the right smoker to do it with. Today I’m reviewing the Dyna Glo vertical offset smoker. This smoker is heated with charcoal from a side compartment which is the offset of the smoker. Dyna Glo is a trusted brand of smoker that’s known for its durability with its well-built structure. The Dyna Glo has a heavy gauge steel wood chip box that is porcelain enameled for extra strength and keeps the steel from rusting. The body is made of heavy-duty steel and has a high-temperature powder coat finish. The powder coat keeps the metal durable so that it will last a long time. All that heat puts a heavy strain on the metal so a good high temp powder coat is essential for long life. This charcoal smoker comes with double steel doors. One side you put your meat or fish the other side you put your charcoal and flavored wood chips of your choice. It comes with chrome plated steel wire adjustable cooking grates. You can smoke up to 150 pounds of fish or meat with its 15,000 BTU’s cast iron burner. It lights quickly with its electronic pulse ignition system. The double doors work well when you need to add wood chips to the burning process. You don’t have to open up the smoker door to add chips you open up the door that holds the charcoal and wood chips. This minimizes loss of heat from the meat or fish you are smoking. The indirect heating process keeps the bottom racks of meat or fish from overcooking which usually happens when you smoke with direct heat. Condensation and grease management system help keeps the Dyna Glo vertical offset smoker from rusting prematurely. 784 Square inches of smoking area. The smoker has a one year warranty. Its heated with charcoal and is made of steel construction. The smoker is 47.03” high by 34.53” wide and 20.2” deep and weighs 57lbs; that’s very light for a smoker of this size and is a good thing if you need to move it around from place to place or carry it up and down the steps on your deck. 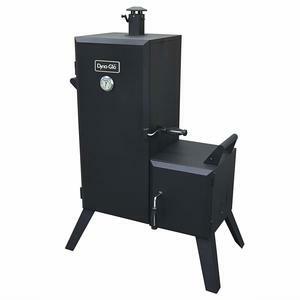 There are a few downfalls the main ones would be the assembly of the product could be quite tricky but they do sell special instructions that can be added on with your purchase of the Dyna Glo vertical offset smoker. The smoke and heat loss that you get is minimal. What you can do to help fix that problem is put cinder blocks underneath where the connected compartments meet. This will help give the smoker some support to keep it aligned so the smoke and heat doesn’t escape there. The other little issue the smoker has is that it comes with a small drip pan. You can remedy this by replacing it with one of those throwaway aluminum pans that you can buy at any grocery store and place it on the bottom shelf of the smoker under where the meat sits. 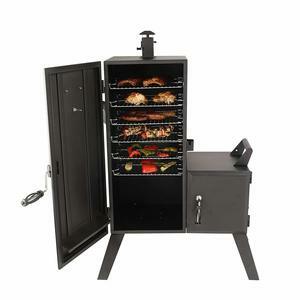 All in all, this is a great smoker that I would recommend it for smoking your own fish and meat at home. Its a good smoker for the price and will last you for years to come with it’s cast iron construction. What I really like about this product is the indirect heat source which lets you cook the meat or fish slowly and your bottom tray of meat will cook at the same rate that the top tray of meat will. You can even put in a tray of veggies to smoke. My mouth is starting to water just thinking about it! You also have plenty of room to cook a lot of meat in this thing; 784 square inches of space and up to 150 pounds of meat or fish can be slow cooked in this smoker. Now that’s an amazing amount of food if you ask me! If you need some ideas on recipes for the brines you can prepare your fish or meat with I have an article on that. Click here for three brine recipes. These recipes are great for fish, especially trout. So if you are up to the task of smoking your own meat I would recommend getting the Dyna Glo Vertical to offset smoker. I can taste it now! ===>Get Your Very Own Dyna Glo Smoker Today! If you like grilled, baked and deep-fried trout you are going to love the taste of smoked trout. In this article, I will show you the best methods on how to smoke trout in a smoker. No one can resist that smoky flavor that dried, smoked trout gives to your taste buds. 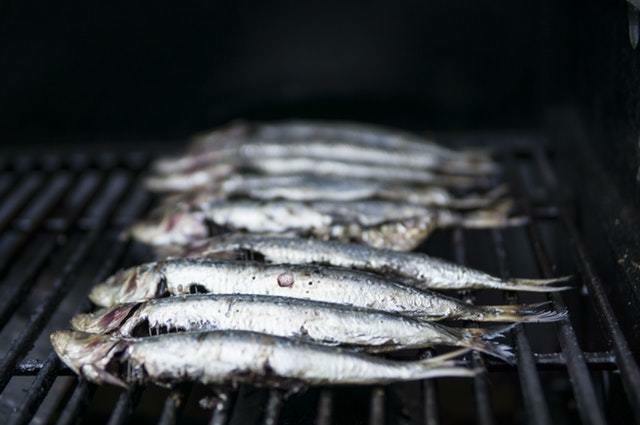 You can smoke fish if you have a smokehouse which takes a long time. That is how they did it initially and it’s still done by meat shops these days. But, if your an individual and don’t have days to cure your smoked trout there are smokers will do the trick in less time and taste just as good as a smokehouse taste would. First of all, you will need to prepare your trout for smoking. You will want to find a brine recipe, and there are many to choose from online if you do a simple search on Google. I did that for you already. Smoking fish brine will help keep the fish from drying out and give it a delicious smoked taste that you will love! Mix the ingredients in a large bowl and let cool in the refrigerator for an hour or two. After the ingredients have cooled pour them over the trout fillets making sure they are completely covered. Now pour the fillets and mixture into a resealable bag or a covered Tupperware bowl. Recommended marinating fillets overnight in the refrigerator. The longer you marinate, the better taste you will get out of it. After the trout fillets have marinated, you will want to remove them from the brine and dry them with a paper towel. You can dump the brine out. Mix the two ingredients. Now in a plastic or glass container arrange one layer of trout fillets on the bottom. Then spread the mixed ingredients over the fillets cover completely after that put another layer of fillets on top of the first layer and then put more of the dry brine on top of those fillets. Put the cover on the container and let marinate in the refrigerator for at least 14 hours up to 5 days. Move the trout fillets around in the brine every few hours flipping them over and making sure they are entirely covered in the brine and that they are not sticking to each other. The brine will be liquidy at this point because of the water in the fish coming out. You will know the trout fillets are cured when the fillets become stiff. Next, you will want to make sure the fish are clean of the brine. Use a fan to dry the trout before smoking. Mix all ingredients making the brine. Put trout fillets in a flat glass baking dish and cover with the brine. Refrigerate the fish and brine together for about eight hours. Next, remove from glass baking dish and rinse off with cold water. Pat dry and put them on the smoker rack for an hour skin down for fillets. That’s just three brine recipes for smoking trout. There are thousands out there, and it would take me years to compile them all. So if these three don’t suit your fancy search for ‘smoked trout recipe’s’ and you will find a ton. The trout is marinated, great. Now it’s time to get down to the business of smoking the trout. There is a myriad of flavors you can smoke your trout with. That’s the great thing about smoking it yourself you can experiment and find what flavors that you like over ones you don’t without putting a hole in your pocket. Smoked trout in the grocery stores can be rather spendy. Turn on your smoker on and heat it. You will want the temperature of the smoker to get to 150 degrees Fahrenheit. There are many smokers on the market so it might be a little different depending on the smoker you are using. Make sure to read the owners manual of the smoker that you have. Next, you want to pick whatever smoke flavored wood chips you want to use to smoke your trout fillets. Soak your wood chips in a large bowl for about 30 minutes. Doing this helps the chips to produce more smoke for the smoking process. Different chips will give you varying degrees of smoke flavor. If you want the strong smoke flavor, you can go with hickory wood chips. If you like a milder smoky flavor, you can go with apple chips. There are many wood chip variety so look on the package if you’re not sure of the strength of smoke flavor they give out. Now you want to put the trout fillets on the rack. You want to place them skin down and about a quarter apart from one another. Next, you want to add the wood chips that have been soaking into the smoker. All smokers are different so read the instructions on how to do this with your particular smoker. More wood chips can be added throughout the smoking process depending on how much smokey flavor you are looking for. It usually takes two and a half to 3 hours to smoke the trout. After about 2 hours I would check with a meat thermometer. The trout is done when the internal temperature reaches 165 degrees Fahrenheit. The fish will have a dark color to it when it’s done. A dark color is normal. I recommend not smoking your fish longer then 4 hours this will dry the fish out. The most important thing is to make sure the fish is fully cooked at an internal temperature of 165 degrees Fahrenheit. I can’t stress that enough. Now that you know how to smoke trout in a smoker you are ready to eat it. Eating the trout is the best part of the whole process other than catching the trout. After you take it from the smoker, let it stand for about 20 minutes before serving. 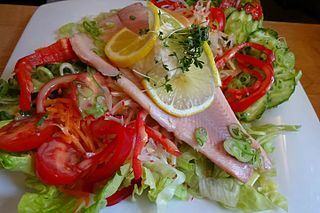 Leftovers can be put in a sealable storage container for up to one week in the refrigerator, or you can also freeze the smoked trout if you wish to keep it longer. 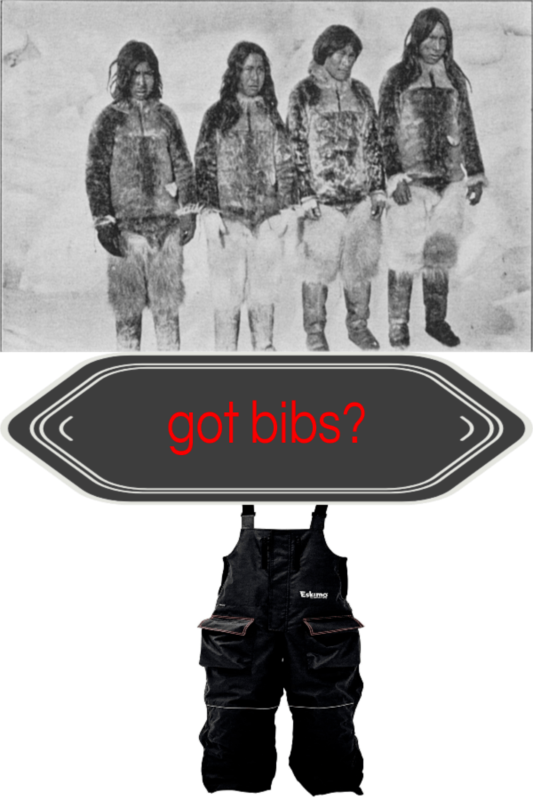 Looking for a pair of nice warm and cozy bibs to wear this ice fishing season? I have done some research on the Eskimo Lockout ice fishing bibs that you might want to take a look at. I promise it won’t hurt and I will explain why I think these are a great pair of bibs to get yourself into this ice fishing season. 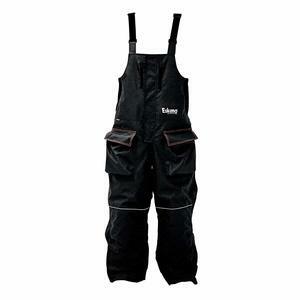 What Features does The Eskimo Lockout Ice Fishing Bibs Have? The Eskimo Lockout bibs come in a variety of sizes from small all the way up to 5 extra large. The length of the legs can be shortened by six inches which is great if you are height challenged and need to adjust. They also come with padded knees. These bibs are ideal for when you are kneeling on the ice struggling with the monster fish you just caught! The liner of these bibs are made of Sureflote Flotation-Assist in case you fall through the ice you will stay afloat and won’t sink. These bibs will also keep the moisture out while staying breathable with its Hydrapore® 5000 laminate that’s built right into the outer shell of the bibs. The outer shells constructed out of 600 denier fabric. This material is tough as nails. Denier fabric is a canvas-like material that’s used on many of the ice shelters you see. So if it’s good enough for the ice shelter, it’s good enough for your body. 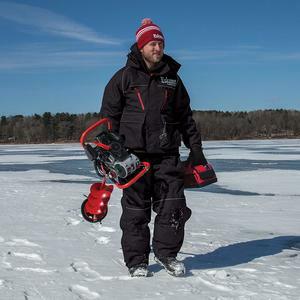 The zippers all around the suit are easy to get to so you won’t be twisting and bending over backward to get that ice fishing tool you need. Your Body Heat Will Stay In The Bibs! You won’t be having any displacement of body heat because the interior lining is 210T and its insulated with 60g of Thermadex® insulation. These combined will trap your body heat in and keep your legs and chest nice and warm. No more frozen bodies parts when wearing these bibs! Built For Comfort and Mobility! The Eskimo Lockout bibs are built for comfort and mobility. The padding is in all the right places. They are lightweight but warm at the same time so they won’t weigh you down when you are walking through the snow. There is a velcro hem at the base of the legs so that mud and water don’t ride up the leg when walking around. Couldn’t find any downfalls to these bibs. If you own a pair of these bibs, let us know in the comments what you think of them. What’s not to recommend on these bibs? The size choices are numerous from small to 5 x-large anyone would be able to find a size. These bibs can be shortened by six inches, now that’s a plus. I also like that it made of floatable material and its tough 600 denier fabric that keeps the wind out. 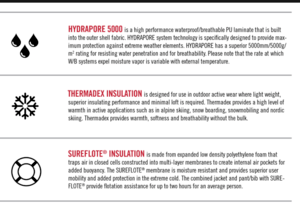 And the Hydrapore® 5000 laminate that keeps you dry and the air moving through the bibs. The interior lining is 210T and its 60g of Thermadex® insulation which keeps you warm and toasty even when the elements outside are harsh. I would recommend you pick yourself up a pair of these Eskimo Lockout ice fishing bibs whenever you get the chance. Eskimo is a company has been around awhile, and you can trust them for quality and comfort. If you have any questions feel free to leave them in the comments section below. You can also email me directly cory@tackleboxtalk.com I would be glad to answer any questions. Thanks for reading and Happy fishing! Have you been searching for the legendary Clam ice auger drill plate? Then you are in luck because I have done some extensive research on this drill plate that you can attach to your Clam hand auger so that you can save your arms from falling off and power through the thick ice with ease. With this drill plate conversion kit, you can save a ton of money by not having to purchase expensive gas or propane augers. Better yet you won’t have to drag along gas and oil with you everytime you go ice fishing. Not only that but you won’t have to worry about mixing the gas and oil which can be a messy job especially out on the cold lake in the middle of winter. What Type Of Drill Should Be Used To Power The Auger? To power the auger you will want to use an 18-volt cordless drill. Make sure the drill has a good sized battery on it. It’s recommended that you use a lithium powered battery with high torque. The drill is only used to turn the auger blade. It doesn’t support the auger blade torque because the ball bearings take the load. This alone will prolong the life of your battery and your drill. I recommend purchasing a Milwaukee 18-Volt Lithium-Ion Cordless 1/2 in. Drill Driver Kit to use as the drill on your Clam auger. Or some other brand name similar to the Milwaukee. Also when drilling you are going to want to keep the drill at low speed. Doing this will give the auger more torque to drill through the ice with. The more torque the more power. The more power the faster you can drill through the ice and the more holes you can drill until the battery runs out. 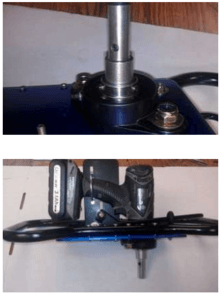 There are a few steps on how to assemble the drill plate and how to attach your drill to the plate and auger. First, there are a few tools you’re going to need to assemble the drill plate. Disassembling of the chuck on the drill is no longer needed in this new version of the clam ice auger drill plate. This version comes with a hexagon motor shaft that fits right into the chuck head. This saves a lot of time in assembling of the drill plate which gives you more time out on the ice fishing. Put the hexagon end of the motor shaft into the chuck of the drill and tighten the chuck just like if you were putting in a drill bit. Next, you take the plate that the drill will be mounted to and install the vertical bracket that comes with it. You will have two 1” ¼”-20 screws, two nylon lock nuts, and 4 flat washers. Loosely tighten the nuts because you will be doing adjustments later on when you fix the drill to the plate and auger shaft. You will want to put on the trigger linkage. Place the trigger rod through the bolt that’s on the plate. Then put the trigger paddle into the small slot that’s in the vertical bracket using the shoulder bolt, ¼”-20 Nylon Lock nut and a flat washer. Make sure not to tighten too hard at this point to allow for final adjustments. Put the motor shaft that’s in the drill through the plate and the ball bearing assembly. You will need a 1/8″ Allen wrench to adjust the two set screws. You will want to install the U bolt that you will find around the drill handle. Tighten this down with the flat washers and plastic knobs. Make sure the drill is sitting flat against the vertical bracket. 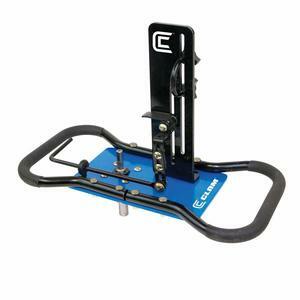 This ensures that the trigger paddle can be adjusted to fully push against the drill trigger. Now you will want to adjust the paddle height. Doing this will enable you to be able to pull the drills trigger fully using the trigger paddles. 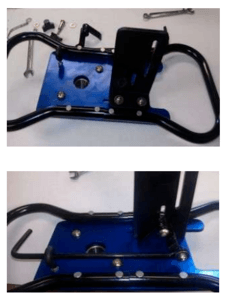 Once the trigger can be pushed all the way in by using the trigger paddle and linkage then you can tighten the four bolts down that hold everything in place. Now that the Clam ice auger drill plate is assembled you can attach it to most any hand auger you want. You will need to take the top handle of the hand auger off before putting on the drill. The Clam ice auger drill plate is an excellent choice in a drill plate assembly. It is lightweight but with enough torque to get through the thickest ice. I’ve been told that this auger set-up can drill 40 plus holes in a single charge! Now to me, that is Power. Especially for an electric type auger. You can also pick up a 16″ extension for the auger itself if you’re tall and need more height. And there is the conversion kit combo that comes with the drill plate and the hand auger but without the handle for the hand auger. The price for the combo kit is a little more expensive than the drill plate alone but cheaper than purchasing the whole hand auger and drill plate separately. Either way, it’s easy to assemble and easy on the wallet. What more could you ask for? I recommend buying one of these especially if you want to lighten that load you haul out onto the ice every day. It will make your hole drilling much easier and you will enjoy ice fishing that much more. No fuss no muss. Now you can say goodbye to gas and oil augers Today! If you have any questions or comments please leave them in the comments section below. If you would like you can email me directly at cory@tackleboxtalk.com and I will be happy to answer any questions you may have. Happy fishing and remember You Can Have Your Fish And Eat ’em 2! Don’t you just hate it when you’re out on the lake on a cold wind-wiped day fishing and the skin on your face is getting chapped and very sore. You are going to wish you had an SA fishing face shield. It can get to the point you can’t stand it and you’re always burying your mouth and chin into your jacket. It’s darn hard to see and not only that to catch fish that way. It doesn’t need to be that way. I ran across a company online called SA. 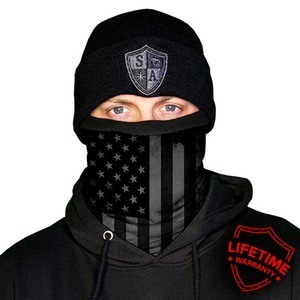 They have fishing face shields for sale in all sorts of themes and patterns. The list goes on and on with over 150 designs and themes. I would be here for days typing out all the designs that SA has to offer. So suffice it to say whatever design/combination you can think of they have in stock and ready to order. And if you don’t find the design you’re looking for you can get one custom made. How about that for selection! 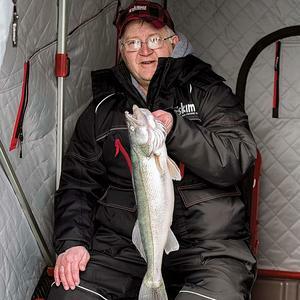 SA’S thermal face shields are especially useful for ice fishing. It gets cold out on the frozen tundra especially if you don’t have an ice shelter to keep the wind off of you. You are going to want to add to your ice fishing outfit with a thermal face shield from SA. 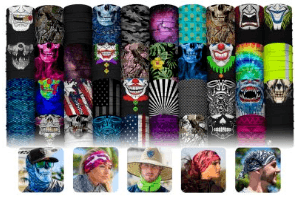 These fleece lined face shields come in a huge variety of designs and themes. They protect your face ears and neck from what mother nature can throw at you. 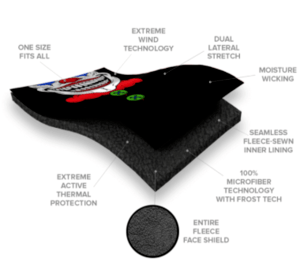 These thermal fleece face shields have a seamless design and are durable enough to handle the strongest of outdoor elements. When you’re out on the lake ice fishing you will really catch people off guard with some of SA ’S awesome designs. Your head neck and ears will also stay warm which is the main thing. SA has a special offer right now where you can buy 1 thermal fleece face shield and get 3 free. 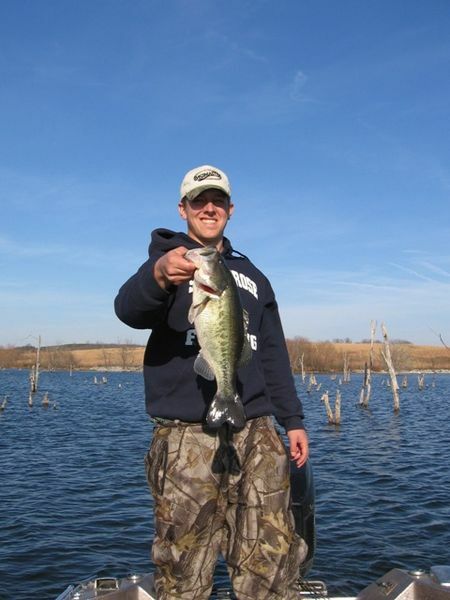 Now that’s a great deal to jump at since it’s getting cold outside and the fish are biting! 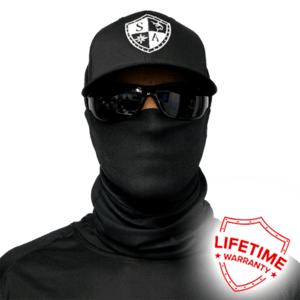 SA Fishing Face Shields… Not Just For Fishing! SA’s face shields are can be used for more things than just fishing. They are great for hunting, hiking, biking, motorcycling, running, wear them at work when it’s cold outside and all types of outdoor sports. You name it there is a use for them. The face shields are also lightweight but durable so they won’t be holding your head down when you are participating in your activities. Protection from the sun is another feature that these shields have. Wear them in your outdoor adventures. You won’t regret it. There are multiple ways you can wear your face shield. In the cold weather, you can use it as a neck scarf, simple face mask or full head and neck mask. When the weather is warm and you want protection from the sun and to keep the sweat off your neck and brow you can go with the regular headband. Other ways to use it in warm weather are the head and back of the neckband, legionnaire style headband, regular beanie style. Lastly, you can just wrap it around your wrist as for a band to wipe away sweat. Also, you won’t lose it when it is wrapped around your wrist. With SA ‘s fishing face shields you have everything you need in a face shield. They protect you from the sun with their SPF40 rating. They wick moisture to help keep the sweat off of your eyes. Because it’s hard to see what you need to see if your constantly wiping sweat from your brow. It could even cause an accident. They are breathable and multi-purpose. You can’t go wrong I highly recommend getting a few pairs of these face shields. There are many specials on their website so head on over there and check them out. 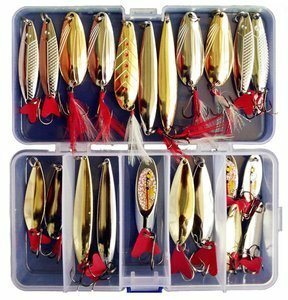 Selling Fishing Tackle Online – The Secret To Getting Started! 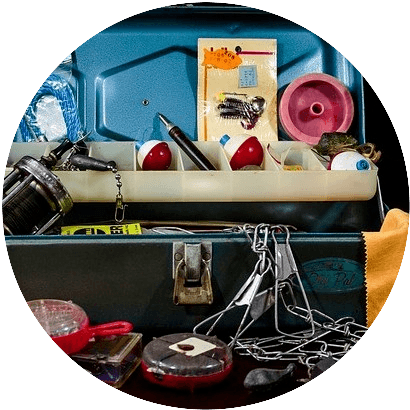 So, You Want To Sell Fishing Tackle Online but Don’t Know Where To Start? Well, your Google search is over. 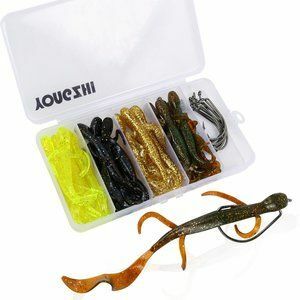 Selling fishing tackle online can be very lucrative in the long run. 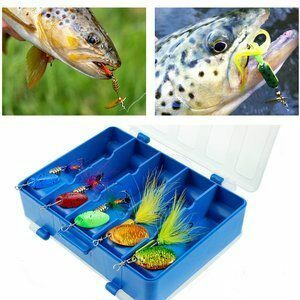 In this article I will be showing you everything you need to know to get a fishing tackle website up, running and monetized! Don’t get me wrong there is a lot that is involved when you want to start selling fishing tackle online but I have the resources, people, training even a WordPress website hosting platform to get you on the road to a successful online business. The website you are on right now was all accomplished with the help of this online community I will be talking about. I have many people come to my website every day that are interested in the sport of fishing. 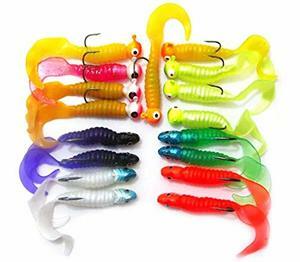 They get important information on the latest fishing products that have hit the market, the latest trends in fishing lures and tackle through fishing related content that I produce on a daily basis. 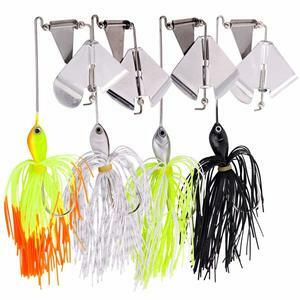 How Do I Get Started Selling Fishing Tackle Online? First and foremost you need to be passionate about what you are selling online. You definitely have that otherwise, you wouldn’t be on this website. 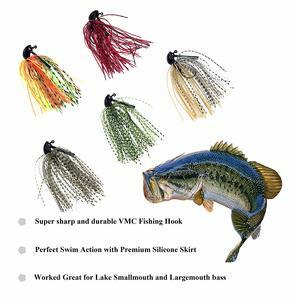 Your passion is the sport of fishing and more importantly, we have narrowed that passion of the niche of fishing into a more targeted niche of fishing tackle. That is what you call laser focus. You want that focus to drive quality targeted traffic to your website. You will be eating, sleeping and breathing fishing tackle when you start selling your passion online. More on that later. 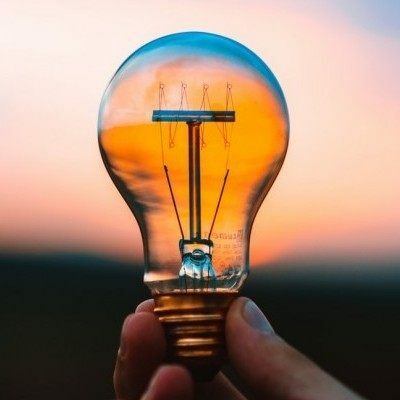 Are you getting inspired yet? You will because your passion will overtake you. And before you know it you will be making more money selling fishing tackle online than you ever thought possible. Second, You will want to set your mind to do this. Make a pact with yourself that you are going to pursue this fishing passion with all your heart and soul! Make it happen. You will be setting goals for yourself daily. You will also have long-term goals to help drive your mindset. Not giving up even when times get a little discouraging which they will. That’s when you dig into your passion to keep your mindset pushing you forward for success. You need to believe this can and will be done. Read your goals daily and reward yourself everytime you accomplish a task or goal. The third thing you need to get started is, of course, a product. 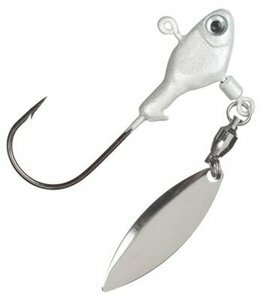 You are probably asking yourself where am I going to find tackle to sell online? I have the answer for you. 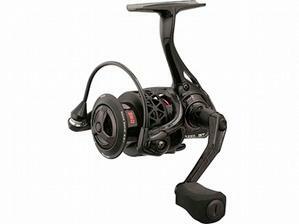 You will be selling fishing tackle through affiliate programs. Amazon has millions of products for sale that are all at your fingertips for you to promote online when you join their associate’s program. It’s free to join. 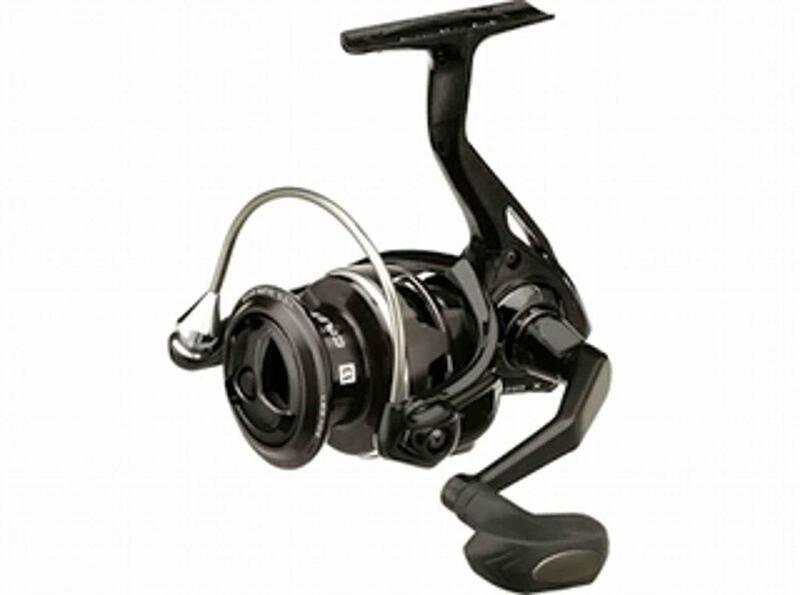 There are endless affiliate programs online where you can find fishing tackle to sell. There’s commission junction which is an online affiliate program platform that thousands of retailers have their affiliate programs posted on for you to join. 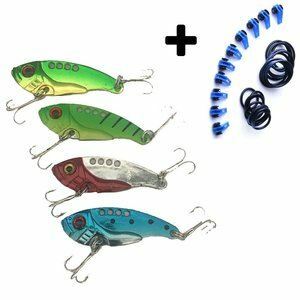 For the fishing tackle niche that you are interested pursuing you would search for companies like Bass Pro Shops, Cabella’s, and Rapala the list goes on and on with companies looking for affiliates to help sell their products. This is where your bread and butter comes from! You will need the training to accomplish selling online and I have plenty for you. 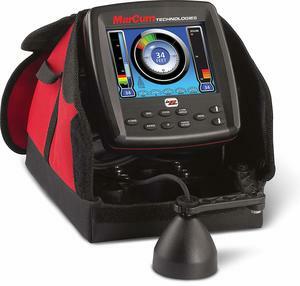 Have everything you need to know to get a successful fishing tackle website up and running. You will learn how to monetize your website and how to drive traffic so that you can make tons of sales. Setting up and learning all this takes time. But once you have everything set up and rolling the traffic will start coming and with the traffic, you will get sales. We have a huge community of like-minded people that are ready and willing to help you every step of the way on your journey to success. I can’t say enough about the over one million member community that will have your back when you join. Any question about building your online empire that you could think of, can and will be answered on this community platform. It’s a pay it forward type of community. 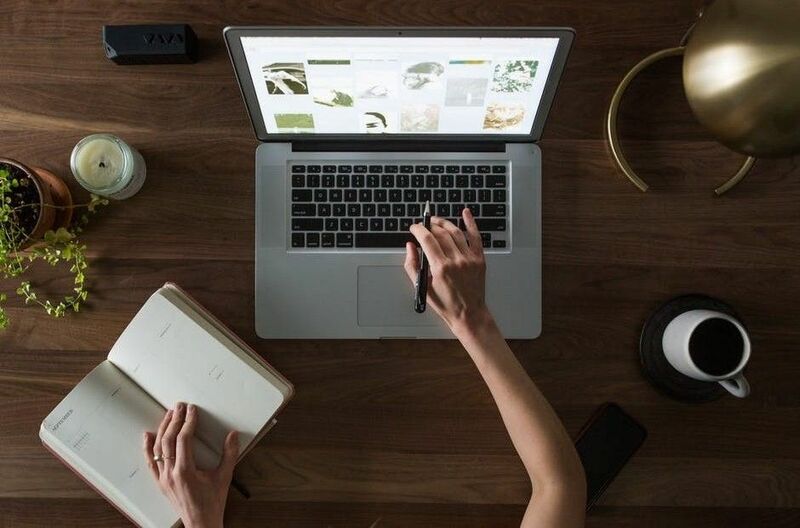 What a great way to get started with online selling. 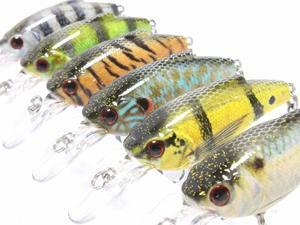 Last but not least piece of the puzzle to selling fishing tackle online is a website. The website is the foundation of your online business. Great looking converting websites are not that hard to make if you have the tools necessary to do it with. 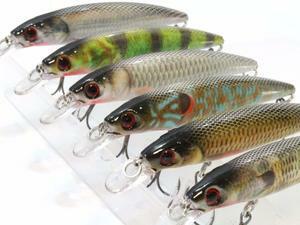 Now that I have answered the question on; ‘how to get started selling fishing tackle online’? 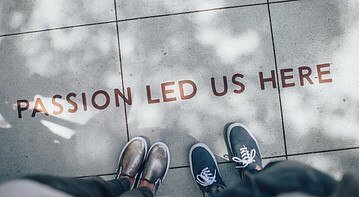 Are you ready to take this passion of yours and make money at it? There is a community that I belong to that helped me with my passion for fishing and that’s where I learned how to build this website you are on right now. 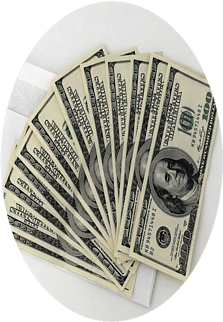 Wealthy Affiliate has everything you need to get started. Become successful in whatever you want to sell online. 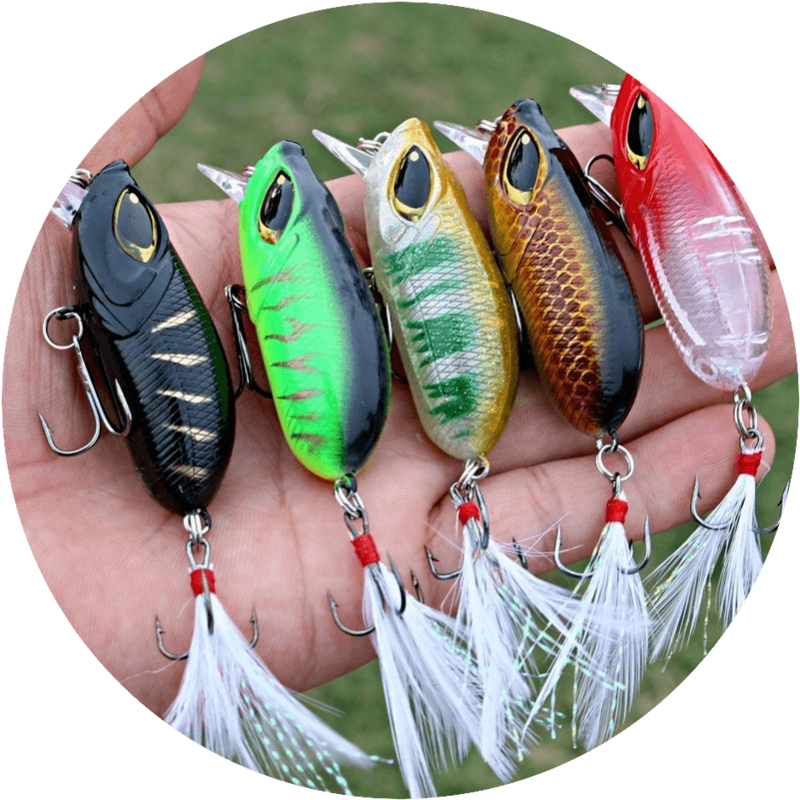 Be it fishing tackle to selling necklaces it doesn’t matter, whatever your passion is you can achieve it with Wealthy Affiliate! 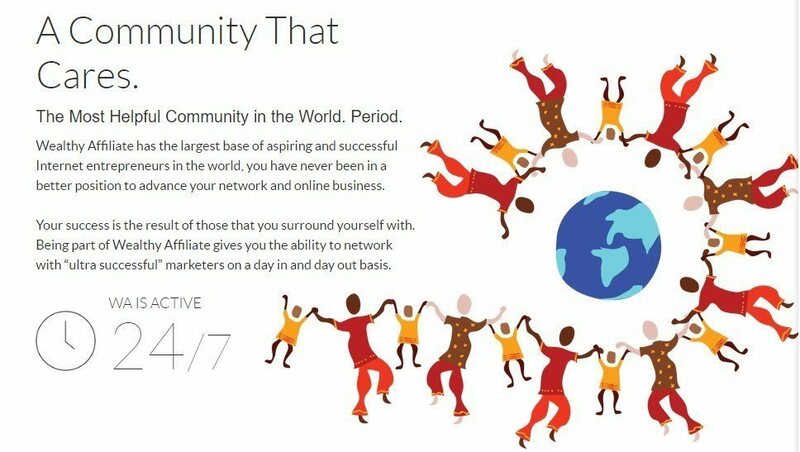 A Community of 1,400,000 affiliate marketers who will answer any questions you will have. Fast and Secure reliable hosting for up to 25 top domain websites that you can run your entire niche businesses with. Technologically Advanced Keyword System that will help you find keywords and phrases that will get you into Google’s search engine results for free. Live Events from experts on a weekly basis about all types of internet marketing strategies, techniques, how to’s and tips. There is Money to Be Had Selling Just About Anything Online. You just need to know where to look and how to go about doing it. Wealthy Affiliate is free to join or you can opt for the premium version which in my humble opinion is more than worth it. So join for free today and give it a test run. You get the premium version to test out for 7 days and if you like what you see then you can upgrade to premium or don’t do anything and you stay as a free member. Give it a try take the test drive. You have nothing to lose. You don’t even have to provide credit card information when you sign up for free. All they need is an email address and your on your way to start selling fishing tackle online!